2. Being able to treat skin infections is one of the biggest health benefits of garlic and this is because of its antiviral and antibacterial characteristics. 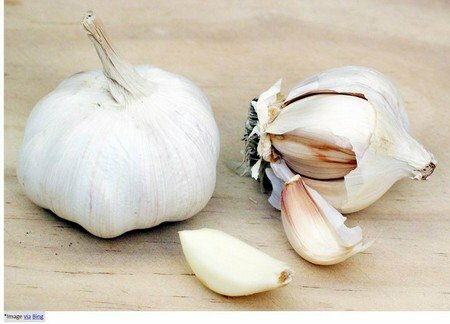 If you have infection in any part of your skin then you can take a few cloves of garlic and crush it to apply its juice to your skin. This juice or paste can be applied twice a day on your skin. Afterwards, you can clean the paste with water and get rid of problems such as ringworm. 3. Many people who have heart disease or who have suffered from stroke have problems related to blood clotting but you should know that garlic is rich in a substance known as ajoene which has strong anti-clotting effects. This means that you can keep away from blood clotting problems by consuming one pod of crushed garlic every day in the morning while you are empty stomach. 4. Garlic is rich in a substance called allicin which can stop the activity of proteins that cause blood pressure and it is very good for people who have blood pressure related problems. There are two ways in which you can use garlic for controlling your blood pressure, you can either make it a part of your food every day or you can eat a pod of garlic on empty stomach every day in the morning. 5. One of the biggest health benefits of garlic is that it is very good for your heart. This is because garlic has the power to reduce the content of bad cholesterol from your blood. 6. Garlic is well known for its action against allergies. You can use the juice of raw garlic for curing the itching that is caused by the biting of a bug or due to rashes. 7. If garlic is taken regularly it has been found to be very effective in reducing the frequency of having colds in people who frequently catch cold. Also, the antibacterial properties that garlic has can help in relieving the irritation in throat. 8. For relief from stomach related problems such as abdominal pain, diarrhea and food poisoning, take a clove of garlic with water and consume it. Else you can take garlic juice to cure stomach issues. 9. One of the biggest health benefits of garlic is its ability to increase the amount of insulin release in body. This means that garlic can greatly help in controlling the blood sugar level in diabetic people. 10. With its analgesic characteristics, garlic can help you a lot in the case of tooth pain. All that needs to be done is the application of its paste on the tooth.